Here in New England, our boating season is sweet, but all too short. It’s only natural for us to want to stretch our boating season into the cool, crisp days of autumn. 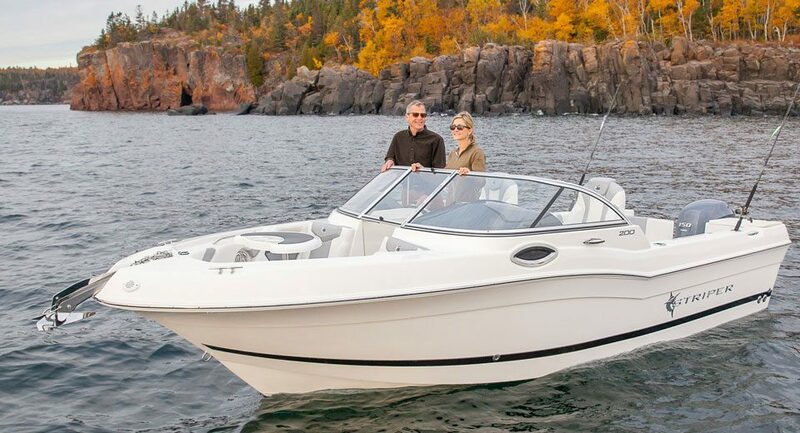 After all, with fewer people on the water, a coastline covered in beautiful fall foliage and cooler, comfortable temperatures, autumn gives us some of the best boating days of the year. However, autumn does present boaters with certain challenges; including shorter days and colder water. Here are some tips on how to stay safe and enjoy boating this fall. You should always wear a PFD on a boat and have your safety lanyard tethered to your body. It’s even more important to do so when it is cold. Autumn days might be warm, but the season’s chilly nights mean the water can get very cold. Wearing a PFD will help protect you from the initial shock should you fall into the water and the safety lanyard will activate the “kill switch” and turn off the engine(s) immediately. This will prevent any bodily harm from the propellers and assist with keeping the boat nearby. Autumn days can bring significant fluctuations in temperature and conditions. Dress in layers so you can adapt if it gets warmer or cooler. Also bring rain gear and a change of clothes. It gets dark earlier each day during the fall, and boaters are often surprised by how quickly the sun goes down. Be prepared by having a waterproof headlamp and/or flashlight onboard. You should also check that your navigational lights are working properly. During autumn, storms can form unexpectedly and bring strong rains, winds, and wild swings in temperature. Watch the weather before and during your trip so you’re not caught by surprise. Before you head out on the water, make sure to let someone know where you’ll be and when you expect to be back. At this time of year, if you get in trouble on the water, time is of the essence.